At Annapolis Plastic Surgery, we use the latest in aesthetic laser technology to deliver you with the safest, fastest and most comfortable laser skin resurfacing treatments, including MicroLaserPeels™, ProFractional Therapy™ and TRL Deep Resurfacing. The advantage of the erbium laser is that it has the ability to vaporize tissue while creating very little heat (compared to the CO2 laser). This keeps the surrounding skin more comfortable and promotes accelerated healing. In this video, you see the incredible versatility of Sciton Laser treatments along with demonstrations and actual patients who have had MicroLaserPeels™, ProFractional Therapy™, Deep Resurfacing and Combination treatments. Full Field & Fractional laser skin resurfacing are performed in our outpatient cosmetic treatment center at Anne Arundel Medical Center in Annapolis, MD. An advanced skin cooling system and/or topical anesthetic may be used to keep you as comfortable as possible during your treatment. A typical session can last anywhere from 30 minutes to an hour. Most patients see an improvement after a single laser resurfacing treatment, however multiple sessions may be needed to achieve the best results in other patients. The MicroLaser Peel uses light energy to instantly remove the uppermost layers of skin to accelerate the skin’s renewal response. Microdermabrasion and chemical peels remove top layers of skin to reveal new skin below, but they don’t get deep enough to send a signal to messenger cells which communicate with deep layers of skin. Only the MicroLaser peel can target the right depth to create beautiful, luminous skin. ProFractional therapy achieves excellent results with minimal downtime. 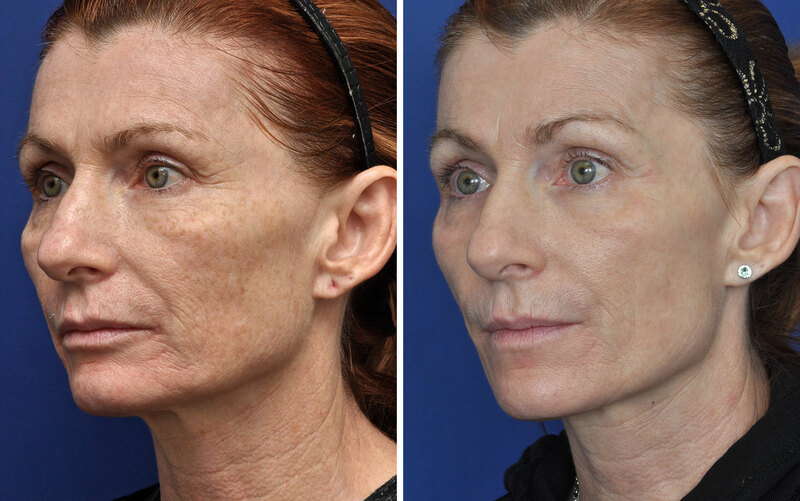 Full field laser skin resurfacing removes the entire surface area of a treatment site. ProFractional covers only a fraction of the total area with micro-ablated channels in the skin. This fractional approach activates fibroblast production – a natural wound healing response, and leaves surrounding tissue intact for rapid healing. ProFractional can be used on all skin types, both on face and body. With Contour TRL, our plastic surgeons are able to fine tune the precise level of skin resurfacing – from a full field which targets deep layers of skin to MicroLaser Peel which targets the superficial layers of skin and everything in between. This unique ability to customize treatment means our doctors can tailor treatment to your exact needs and desired results, as well as your tolerance for downtime. Hyperpigmentation including sun spots, age spots, etc. Often times, the doctor will recommend a combination of laser skin resurfacing treatments to achieve the best results. 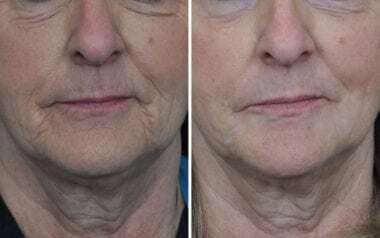 Many of these treatments can be performed in combination with one another or laser therapies can be combined with other treatments such as a facelift, dermal fillers or medical grade skin care services. How Much Does Sciton Laser Skin Resurfacing Cost? We offer discount pricing when multiple sessions are needed, multiple areas are treated at the same time, or when laser skin resurfacing is being combined with other treatments such as a facelift or blepharoplasty.